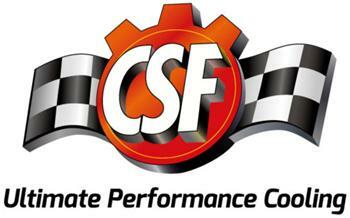 CSF, The Cooling Experts, have been serving the US aftermarket for almost 4 decades. With over 30 million units sold, CSF is your exclusive source for Radiators, Condensers, Intercoolers, Inverter Coolers, Racing Radiators and Pressure Caps. Get it all from CSF! With over over 3000 models to chose from, CSF’s coverage is second to none. When you choose CSF, you are dealing directly with the manufacturer, not a broker or an importer. CSF’s factories are ISO certified, and are OE suppliers to many US, German and Asian manufacturers. When you purchase a CSF product, you can be rest assured that it has been manufactured on the same production lines with the same high quality standards as their OE customers. Every single radiator is subject to rigorous testing procedures such as Hydrostatic Testing, Vacuum decaying and life cycle testing, and is designed to always be a “drop-in fit”.